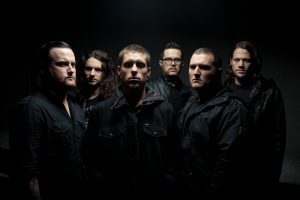 Whitechapel has a new album ready to be released this summer and has plans for a massive tour to accompany the release of the disc, which is titled “Mark of the Blade.” But, that doesn’t mean the metal band from Knoxville, Tennessee is sitting home waiting. Instead, Whitechapel — Phil Bozeman – Vocals; Ben Savage – Guitar; Zach Householder – Guitar; Alex Wade – Guitar; Ben Harclerode – Drums; Gabe Crisp – Bass — is on the road with its “Decade of the Blade Tour” featuring Fit For a King, The Plot In You, and Enterprise Earth. The tour visits the area on May 14 for a show at Reverb (1402 North Ninth Street, Reading, 610-743-3069, www.reverbconcerts.com). “We are kind of pre-promoting the new album — trying to get a little taste of it out there before the big tour,” said Bozeman, during a phone interview Wednesday afternoon from a tour stop in Iowa City, Iowa. “We recorded everything last year in January, February and March and finished it at the end of March. We used Marc Lewis as our producer again. He did our last two albums. We work really well with him. He understands the band and knows what we want to sound like. Whitechapel’s previous album was “Our Endless War,” which was released in April 2014 on Metal Blade Records, the same label as the new one. “The new album is probably our most different album to date. There are even two songs that have actual singing vocals on them. That’s new territory for us. We’re all very pleased with it. A lot of it is very groove-oriented — not just blast, smash and try to go as fast as possible. “But, we still have stuff on the new album that’s going to please older fans. Every song sounds like it could be from a different CD. As artists, you should never limit yourselves. Just because you have a genre stapled to your name, you don’t want to stay there. Video link for Whitechapel — https://youtu.be/Bx4157TlEBE. The show at Reverb, which starts at noon, also features Rivers Of Nihil, Throdl, Departed, With No Regard, Encoder, Regressor, Tomorrow Awaits, Cranely Gardens, Violence In Ascension, Shadows Among Us, One Day Waiting, Until We Fall, Inevitable Revolutions, Into the Infinite, Irrita, Harbinger, King Kong Hates The Wolfman, Vitruvia and When Tides Fall. Tickets are $20. The chart-topping British band Traffic did it at a country cottage in the late 1960s. American roots legend The Band did it a few years later. Now, Mountain Heart, which has a show on May 14 at the Sellersville Theater (24 West Temple Avenue, Sellersville, 215-257-5808, www.st94.com), has done it. What did they all do? These bands all left home and temporarily relocated to a different location to work and live together while they focused on making an album. For Mountain Heart, the result was “Blue Skies.” It was the first studio album in five years for the Americana band, which features Josh Shilling: guitar, piano, lead vocals; Molly Cherryholmes: fiddle, vocals; Seth Taylor: lead guitar, banjo; Aaron Ramsey: mandolin, vocals; and Jeff Partin: bass, vocals. “We started recording a little over a year ago,” said Shilling, during a phone interview Wednesday afternoon from Nashville. “Then, we signed a deal with Compass Records in Nashville and they pushed the album’s release back to this May. “We decided to record it ourselves. We went to a home studio in Asheville, North Carolina. Our sound man Eric Wilson has a studio there so we recorded it at this place. He also has different properties there so we just stayed with him in Asheville. Prior to heading to the mountains in North Carolina, the veteran musicians knew what worked for them in the studio. “We had recorded previous albums live in the studio,” said Shilling. “We realized how special this band was when we played live. Our approach to this record was totally organic. We wrote, recorded, produced and engineered everything ourselves — no over dubs, no click tracks. “We all work in different studios as producers, engineers and session musicians so we know how to do it. We went about this very old-school. If there were imperfections, that was O.K. Mountain Hearts’ evolving sound also has some mojo to it. Video link for Mountain Heart — https://youtu.be/uw7SVjoPyM4. The show at the Sellersville Theater will start at 8 p.m. Tickets are $25 and $39.50. The Zombies have been building their fan base for more than 50 years and that fan base still continues to grow. One reason that it grows is because the band’s catalog of great songs continues to grow. 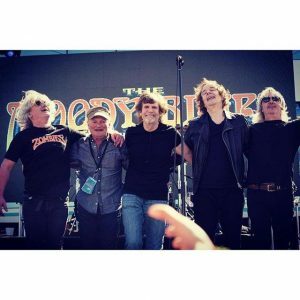 The Zombies released a new album back in October titled “Still Got That Hunger” and then went on tour for two months performing its classic “Odessey and Oracle” album for the first time ever in the United States. Now, the Zombies are back in America for another stateside tour — a tour that brings them to the area on May 15 for a show at Colonial Theatre (Bridge Street, Phoenixville, 610- 917-1228, www.thecolonialtheatre.com). The concert will showcase the acclaimed current Zombies’ line-up featuring founding members keyboardist Rod Argent and vocalist Colin Blunstone along with bassist Jim Rodford (formerly of Argent and The Kinks), Rodford’s son Steve Rodford on drums, and renowned session guitarist Tom Toomey. “We recorded the new album early last year,” said Blunstone, during a phone interview Tuesday morning from his hotel room in Weehawken, New Jersey. “We did it with producer Chris Potter. He has worked with the Stones, Verve and a lot of other big artists. “We decided to do it a slightly different way. We did it similar to the way we did ‘Odessey and Oracle.’ When the songs were written, we rehearsed them a lot — first acoustically and later with more instruments. “Then, we went into a studio where we could all record in the same room together. When you record live in the studio, it’s a whole different feeling. It really enhances the performances. Band members play off one another and that’s something you don’t get when you’re layering tracks. In the early 1970s, the group disbanded and headed off to the rock-and-roll graveyard. Then, the Zombies found new life in the 1990s when Argent and Blunstone reunited for a series of dates in the U.K. They continued to tour and released an album of all-new material called “Breathe Out, Breathe In” (Absolute Records) in 2011. “With regard to our initial reunion 12 years ago, Rod was doing a charity with his band Argent,” said Blunstone. “I was in the audience and he called me up to sing a few songs with him. I had some solo dates not long after that so Rod came and played those dates. “We only expected to play together for those shows. But, it went great so we decided to keep it going. Halfway through the first show, it felt as though we had never stopped playing. In reality, it was a 30-year gap. “Obviously, we enjoy playing classic hits from the past. A lot of Zombies tracks have a timeless feel. They still sound fresh. We are also doing some tracks from my solo albums and we revisit some Argent songs such as ‘Hold Your Head Up’ and ‘God Gave Rock and Roll to You’. We’re also doing four or five tracks from the new album. Video link for the Zombies — https://www.youtube.com/watch?feature=player_embedded&v=g4wpHjAkY-I&list=PL818E8A6FA5AFCDB2. The opener for the Zombies at the Colonial is another act that has been active on the music scene for more than 50 years — Bruce Sudano. By the mid-1960s, Sudano was playing bass guitar in his first band Silent Souls. He spent much of his time rehearsing and was soon playing live shows at popular New York nightclubs. While playing at the The Cheetah, Sudano met Tommy James of Tommy James and the Shondells and became his protégé. “I came from a musical family,” said Sudano, during a phone interview Tuesday morning from his home in Los Angeles. “My father sang and my uncles would come over with guitars and accordions. My grandfather brought me back an accordion from his visit to Italy when I was four. “When I was eight, my father was taking me to the Brooklyn Fox to see the Murray The K shows with all kinds of bands. I always wanted to be a songwriter like Goffin and King or Mann and Weil. In 1968, Sudano became the keyboard player in the pop band Alive N Kickin’, which he co-founded with Pepe Cardona. Tommy James along with Bob King wrote a song for the band called “Tighter, Tighter”. James also produced the track and sang backing vocals. The song was released on Roulette Records in 1970 and went to Number 7 on the Billboard Hot 100. In March 1977, Sudano met Donna Summer. The Brooklyn Dreams and Summer immediately began writing songs together and within a few months Sudano and Summer were dating. In 1979, Brooklyn Dreams and Summer wrote the title track “Bad Girls” for the best selling album of Summers’ career. 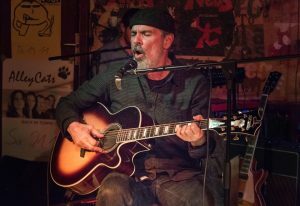 Sudano has released four solo albums — the most recent of which is “The Burbank Sessions” in 2015. Video link for Bruce Sudano — https://youtu.be/GQCM9aqagss. The show at the Colonial will start at 8 p.m. Ticket prices are — Gold Circle: $49.50; Orchestra: $44.50; Front Balcony: $39.50; Rear Balcony: $32.50. Another band with roots going back more than a half-century will be in the area for a show on May 15 when The Rides perform at Sands Bethlehem Event Center (77 Sands Boulevard, Bethlehem, 610-297-7400, http://sandseventcenter.com). Separated in age by a musical generation but bonded by a mutual love of classic cars and the blues, two-time Rock and Roll Hall of Famer Stephen Stills and five-time Grammy-nominated singer, guitarist and songwriter Kenny Wayne Shepherd joined with famed Chicago rock/blues keyboardist Barry Goldberg to form a very fresh and vital blues-rock band — The Rides. 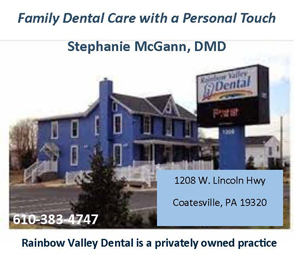 “I knew Stephen from our association with the Indianapolis Colts. We’re both friends of Jim Irsay, the Colts’ owner. We used to jam together at parties Jim put on. Then, Stephen, Barry and I decided to get together. “I don’t think any of us knew what to expect — maybe just jamming on blues tuned. When we got together, the chemistry became instantly apparent. We decided that we wanted to write songs and we were really excited to play together. The Rides toured in support of their debut album “Can’t Get Enough” in 2013. 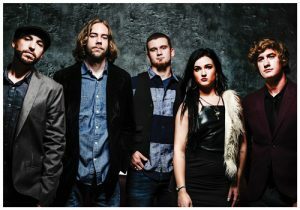 Now, they are on the road in support of their new album “Pierced Arrow,” which came out on May 6 on 429 Records. 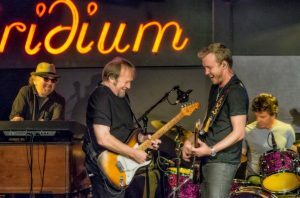 “We had been writing in 2014 and then went in the studio in January 2015,” said Shepherd, a Louisiana native who has released eight albums since 1995. “After the first tour, we wrote throughout the year. We developed our material over the course of many months. “We started recording in January and finished in March. It took a long time. Stephen had to go to Japan with Crosby, Stills & Young and I did a tour of the states with Van Halen. On the first tour with the Rides, we started building some ideas that worked their way onto the new album. Video link for The Rides — https://youtu.be/c1iwFuHp9VE. The show in Bethlehem will start at 8 p.m. Ticket prices are $29.50, $45 and $55. Rogue Wave’s fans have had to wait awhile for a new album from the band — and they have had to wait equally patiently for a tour by the band from California’s Bay Area. Now, the wait is over — and it’s been worth it. Rogue Wave — Zach Rogue – vocals, guitar, Wurlitzer; Pat Spurgeon – drums, keyboard, samples, vocals; Jon Monahan – guitar; Masanori Christianson – bass and gentle bells — released its new album “Delusions of Grand Fur” on April 29 via Easy Sound Recordings. Now, the Oakland-based group is on tour and will visit Philly for a show on May 15 at Johnny Brenda’s (1201 North Frankford Avenue, Philadelphia, 215-739-9684, www.johnnybrendas.com). “Delusions of Grand Fur” is the band’s first record in more than three years and their sixth studio album overall. Recorded at the band’s home studio in Oakland without a producer, all of the songs on “Delusions of Grand Fur” are actually the demo versions of each track. This D.I.Y. approach allowed Rogue to focus on creating the band’s strongest album in terms of storytelling. “We wanted to make a record and we did it by ourselves,” said Rogue. “Self recording takes a lot of time. We finished the album and then found a label that wanted to put it out. It’s not easy because there aren’t many good labels out there. We thought about self-releasing the album and then we connected with Easy Sound. Rogue and his mates spent plenty of time working on the new album. “On this record, we didn’t want to do demos and then work off them,” said Rogue. “We just wanted to start recording. We got the first song and the last song and that made a rough framework. “I just wanted to go with my gut instincts. I’d play songs for Pat and then we’d start layering. Everything was built from the bottom. We were arranging on the fly. I was kind of terrified when we started mixing. We did one song at a time. I was worried that there would be no cohesion — that it would be too disjointed. Video link for Rogue Wave — https://youtu.be/TU-RB00FoBQ. The show at Johnny Brenda’s, which also features Hey Marseilles, will start at 9 p.m. Tickets are $19. VÉRITÉ is a singer from Orange County who has released three EPs and a number of singles over the last three years. But, her music isn’t the ska/reggae/pop/punk music usually associated with Orange County — wrong Orange County. VÉRITÉ is an alternative-pop singer from Warwick — a town in Orange County, New York. Her music is familiar and comfortable and, at the same time, refreshing and new. Her recently-released EP “Living” features five tracks that are each different from the other yet come together to form a cohesive project. VÉRITÉ will be performing those tracks along with tunes from her previous releases when she plays a show on May 16 at Boot and Saddle (1131 South Broad Street, Philadelphia, 215-639-4528, www.bootandsaddlephilly.com). According to VÉRITÉ, “The ‘Living’ EP was written in the wake of (her 2015 EP) ‘Sentiment’ and after the first tour. It was the first time I had been able to dedicate all of my time to the project and writing. 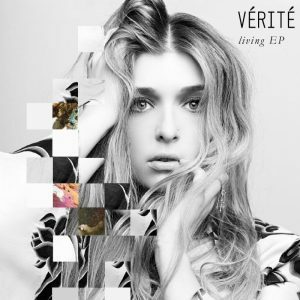 VÉRITÉ evolved her sound on ‘Living’ by collaborating with a group of prominent producers, including Stefan Graslund (Charli XCX), Tim Anderson (BANKS) and Peter Thomas (Betty Who). The EP features recently released track “Underdressed,” which in less than two weeks has racked up over one million streams on Spotify and hit Number 1 on Hype Machine’s Popular Chart its debut week. “I cut the EP with different producers at their spaces,” said VÉRITÉ. “With producers, I think it’s important to experiment. I always want to elevate the sound and try something different. Sonically, we really pushed ourselves with the production. Even though she is just in her mid-20s, VÉRITÉ has been making music for a long time. “I started music when I was young,” said VÉRITÉ. “It was a natural thing to do. I had a punk band in school and we played a lot of small shows. It was a cover band in middle school and then I started writing songs when I was around 16. “I’m not sure what the catalyst was. I had been playing for awhile and just wanted to write. I slowly developed as a songwriter. I didn’t have any goals. I just knew I wanted to play live. When I started this project, I became more confident in my writing. Video link for Verite — https://youtu.be/h6SlM8SsxgU. The show at Boot and Saddle, which also features Lostboycrow, will start at 8:30 p.m. Tickets are $12. Boot and Saddle will present another interesting female vocalist with a singular name on May 17 when Welsh singer Gwenno headlines a show. Gwenno Saunders is a musician from Cardiff, Wales. She is best known as a vocalist and keyboard player for the Pipettes where she went by the name Gwenno Pipette. Gwenno released her “Ymbelydredd” EP in 2012 to critical acclaim, and more recently released “Chwyldro” and “Golau Arall” — singles that led up to her debut album “Y Dydd Olaf,” which came out at the end of 2014. “Y Dydd Olaf” is a also book by Owain Owain, a Welsh novelist, short-story writer and poet who worked as a nuclear scientist in Windscale for a few years. It is a sci-fi novel about globalization. Brain-invading robots overpower humanity — except for Welsh speakers, whose thoughts they can’t penetrate. If you’ve ever listened to Welsh being spoken, you can’t relate to the robots’ problems. Gwenno is a native Welsh and Cornish speaker who co-produced and co-hosted Welsh language show “Cam o’r Tywyllwch” for Radio Cardiff. “Y Dydd Olaf” is sung entirely in Welsh, except for one song in Cornish. The thought-provoking album is a cultural document — and a celebration of what is unique about life in modern day Britain. The record is Gwenno’s response to the political upheaval that is happening all over Europe. “I moved back to Wales after living in London for awhile,” said Gwenno. “Being back in Wales, it felt quite natural for me to do an album like this. Just making music is making documents of time and space. I was excited about doing it. The album “Y Dydd Olaf” combines an ancient language with modern electro-pop sounds. When Gwenno is playing shows in cities such as Swansea, Cardiff, Llanelli and Wrexham, she performs with a band. For her current stateside tour, she is performing solo. Video link for Gwenno — https://youtu.be/CldPv3-VHmM. The show at Boot and Saddle, which also features Blood Sound, will start at 8:30 p.m. Tickets are $10. 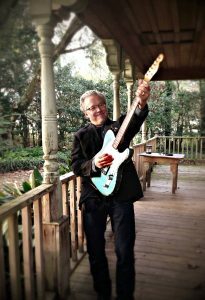 Radney Foster, who will be performing at the Tin Angel (20 South Second Street, Philadelphia, 215-928-0770, http://www.tinangel.com) on May18, is a Texas-born singer-songwriter who made his recording debut as part of the Foster & Lloyd duo with Bill Lloyd. “I’m still touring behind ‘Everything I Should Have Said,’” said Foster, during a phone interview Tuesday from his home in Nashville. Considered an elder statesman of Texas singer-songwriters, Foster has been a friend and mentor to many younger artists on the Texas scene. He’s written and produced songs for Randy Rogers, Jack Ingram, Kacey Musgraves, Wade Bowen, Josh Abbott, Pat Green, Cory Morrow and many others. His songs are regularly mined by superstar acts like Keith Urban (“Raining on Sunday,” “I’m In,”), Sara Evans (“Real Fine Place,” “Revival”) and the Dixie Chicks (“Godspeed”). “It’s been a year-and-a-half since my last album,” said Foster. “I’m going to go into the studio in the fall with these new songs. With a project like this, you focus differently. I’m writing just for me — just for the new album. “I’m playing a lot of the new songs in my live shows to test them out — especially at my acoustic shows. I love seeing the audience’s reaction. If I’m trying out new songs when I’m playing with my band, I make the band go away — just to do a few acoustic songs. “The shows I’m doing now are acoustic shows — just me and my guitar. It’s cool. With my solo shows, I have a set list. But, I can also do old chestnuts that fans request — even if I haven’t played them in years. Foster, who has been a working musician for more than 30 years, have built a large and devoted fan base. Video link for Radney Foster — https://youtu.be/hBqWbXyAYGo. The show at the Tin Angel, which also features Thomas Bazzanella, will start at 8 p.m. Tickets are $18.